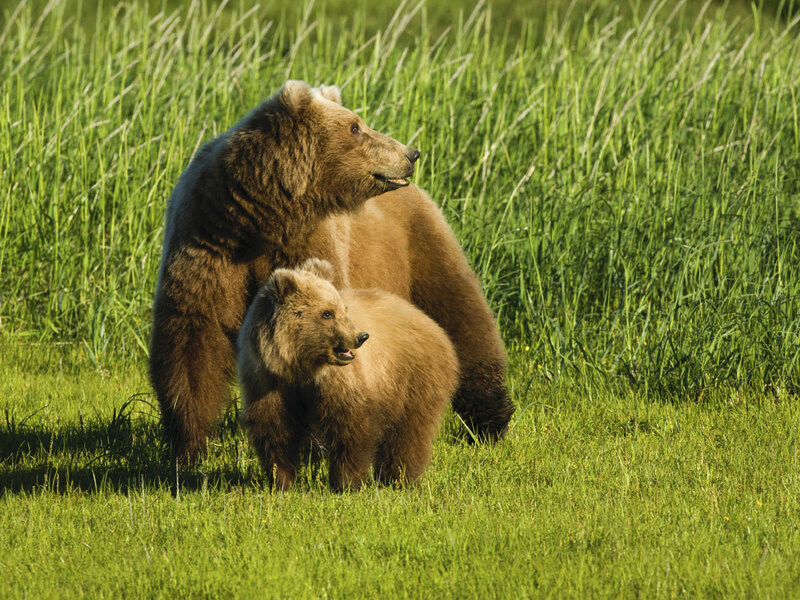 ANCHORAGE, Alaska (AP)  A grizzly that was with her cub attacked a group of seven teens participating in a survival skills course, badly injuring two in the group. reports local CBS affiliate KTVA. The teens were towards the end of a 30-day backcountry course by the National Outdoor Leadership School when the attack occurred Saturday night about 120 miles north of Anchorage. They were rescued early Sunday. NOLS spokesman Bruce Palmer says another group of seven students and three instructors has been waiting about six miles away for a helicopter hired by the Lander, Wyo.-based organization. Palmer says 17-year-old Joshua Berg of New City, N.Y., and 17-year-old Samuel Gottsegen of Denver were the worst injured with bear bite wounds. KTVA reports that the two are in serious condition at an Anchorage hospital. Teens told troopers that the bear was first spotted around 8:30 p.m. Saturday while crossing a river single file, KTVA reports. Those at the front of the line screamed the news of the approaching bear to those at the back. Troopers said that the two teens at the front of the line received the brunt of the bear attack. National Geographic describes grizzly bears, a subspecies of the North American brown bear, as "powerful, top-of-the-food-chain predators, yet much of their diet consists of nuts, berries, fruit, leaves, and roots. Bears also eat other animals, from rodents to moose. Despite their impressive size, grizzlies are quite fast and have been clocked at 30 miles an hour. They can be dangerous to humans, particularly if surprised or if humans come between a mother and her cubs."